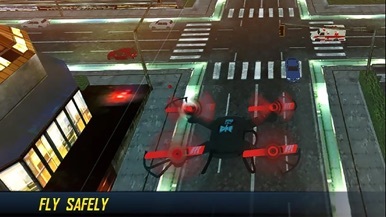 This drone game is all about new technology. In future, drone technique will be employed to do many important jobs like firefighting, delivery of different goods and even for spy purpose too. 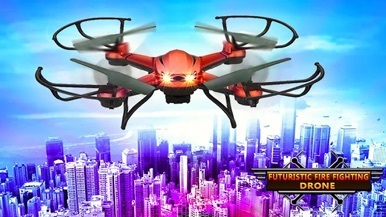 This is your chance to become an amazing fire fighter, save the lives and historic city landmarks from a deadly fire that is dangerously out of control through the futuristic drone. 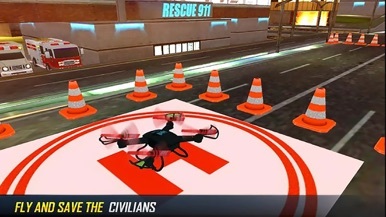 You have got your chance because amazing firefighter drone will give you the opportunity of flying a drone simulator through different parts of the city and rescue people. Now Innocent lives are in your hands. 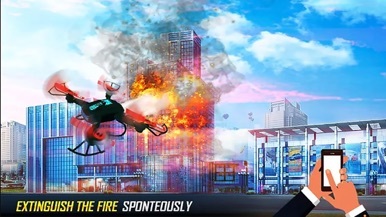 Real futuristic drone firefighter is about flying skills over the city like a flying hawk, and then rescuing innocent people with your fire brigade vehicle. Firefighter trucks, vans and other rescue vehicles or fire-fighters can't help in the huge skyscraper buildings in a huge metropolitan city. So, be careful because rescue job is not easy it is dangerous more than you think. That’s why we are going to introduce futuristic drone fighter to save the lives and save burning city. Due to some unpredicted reason, important buildings are burning in the city. It is sudden hazard attack in this big metropolitan city now it needs to be rescued. You have been chosen to maneuver the jet to conduct this testing mission of helping your teams on the ground to extinguish the fire through the water on the emergency places. You have a water tank control on your amazing fire brigade drone so you have to throw the water to the fire and to save the historical buildings and people lives as well. The fire have to be extinguished in time because time is matter to save injuries or deaths. Be careful do not hit the jet into the buildings now this critical situation in your hand. In this futuristic fire brigade drone there are multiple levels and on every level very dangerous and challenging missions. So complete these multiple dangerous missions, all within a gorgeous urban environment. Amazing realistic big city graphics and emergency situation environment. 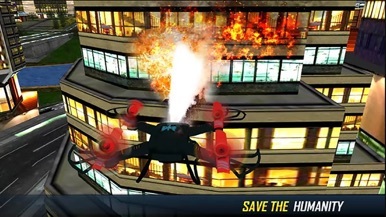 Become a hero to save the city and innocent people to play this modern firefighter jet game.